Will acupuncture give me back pain relief with my arthritis? 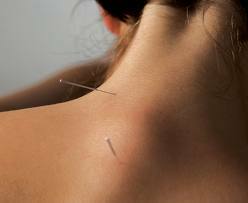 Can I use acupuncture or acupressure for back and neck pain? According to a survey by the Centers for Disease Control and Prevention in 2002, acupuncture was used by an estimated 2.1 million U.S. adults, most of which was for reduction and control of unremitting and chronic pain, typically associated with osteoarthritis, phantom pain, and post-surgical pain from failed musculoskeletal surgery. In a recent study co-funded by the National Center for Complementary and Alternative Medicine (NCCAM) and the National Institute of Arthritis and Musculoskeletal and Skin Diseases (NIAMS), and the National Institutes of Health, it was agreed that acupuncture may provide pain relief and improve function for people with chronic pain associated with knee osteoarthritis. This was the longest and largest randomized, controlled phase III clinical trial of acupuncture ever conducted. The results were published in the December 21, 2004 issue of the journal Annals of Internal Medicine. In this multi-location research study 570 people with osteoarthritis of the knee, aged 50 or older, were evaluated. To qualify for study all participants had to display significant knee pain the month before, and to not have had knee surgery of any type, or used steroid or similar injections into the painful knee, during the six months prior to the survey. Lastly, none could have used acupuncture for any reason prior to the survey. Study participants were divided into three groups: 1. Received a real acupuncture treatment, 2. Received a “sham” or placebo acupuncture treatment, or 3. Took part in a self-help group for pain management. For both real and sham acupuncture treatment a screen was placed to prevent study participants from watching the actual knee treatment being provided to prevent them from knowing if the treatment was real or not. In the third education control group, all study members attended a series of six, 2-hour group sessions over 12 weeks, based on the popular and effective Arthritis Foundation’s Arthritis Self-Help Course. All participants continued to receive standard medical care from their primary physicians that they had took prior to joining the acupuncture study. Upon participating in the study, each member’s level of knee pain and function were assessed using standard orthopedic and written arthritis research survey forms, and were re-tested at four, eight, 14 and 26 weeks into the program. At week eight, each participant receiving real acupuncture treatment was showing a significant reduction of pain and increase of knee function. At week 14 a significant decrease in pain was noted, compared with both the sham and education control groups. This trend of reduced pain and increase knee joint and function continued throughout week 26 of the study. In summary, those study participants who received true acupuncture treatment had a 40% decrease in knee pain and a nearly 40% improvement in knee function compared to their baseline assessment. According to a 2007 National Health Interview Survey that also included questions about various complementary and alternative medicine used by Americans during the previous year, discovered that 1.4 percent of those who responded (indicating an estimated 3.1 million Americans) had used acupuncture in the past year. Detailed analysis of data from an earlier NHIS found that of the various conditions Americans used acupuncture for, 7 out of ten conditions were for various acute and chronic pain or musculoskeletal complaints. Of these back pain was by far the most common pain condition treated, followed by joint pain, neck pain, severe headache/migraine, and recurring generalized pain. The results of a 2001 study conducted by Carlsson, published in the Clinical Journal of Pain, provides additional research proof that acupuncture is an effective and safe treatment procedure for low back pain. This work shows that acupuncture can maintain positive lower back pain outcomes for periods of six months or longer without negative side-effects frequently associated with standard medical pain treatments. A 2005 study analysis conducted at the University of Maryland School of Medicine did a meta analysis of various acupuncture research since 1985 and concluded that acupuncture reduced chronic lower back pain more effectively than standard physical therapy and medical treatments and that the pain relief was “significant.” This Maryland analysis determined that acupuncture provided definite back pain relief not only in the short-term, but that this pain relief appeared to be sustained over the longer term, as well. Several studies in the late 1990s and early 2000s about the use of acupuncture for chronic neck pain of various origins (acute injury, chronic osteoarthritis of neck, postural stress) found that acupuncture provided significantly better pain relief than sham or simulated acupuncture treatment needles and other stimulation methods. Because the studies followed a variety of research designs and most had small sample sizes, the results were non-conclusive but favorable. While acupuncture has been studied for a variety of other painful conditions (arm, headache, shoulder, jaw, pregnancy-related pelvic and back pain, some studies have produced more positive results than others, this is thought to reflect a variable study design, participant selection or the skill level of the acupuncture treatment provided. More conclusive testing and research is needed to determine the efficacy of acupuncture for these and other pain conditions. Yes. When acupuncture is performed using disposable needles (as is the case in 99% of acupuncture offices) under clean, controlled, sterile conditions, by a qualified acupuncturist of high training and skill, it is extremely unusual to have any complications. 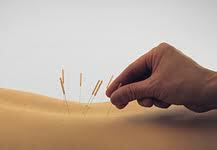 It is even safer when needles are not used, as when acupressure is performed. Any active acupuncture point that is in need of treatment and will yield good therapeutic results will be slightly to greatly sore to the touch; you have only to use a fingertip to apply slight pressure in a probing circular manner to determine if the point is sore or not. Simply apply a deep massaging action to the active acupuncture point to receive benefit to the chronic pain, whether it is headache, sinusitis, or sciatica.